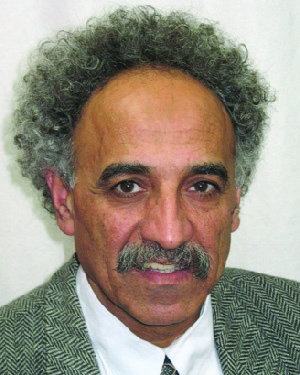 Dr. Muhammad M. Haj-Yahia is a distinguished alumnus of the College of Education and Human Development, earning his doctorate in social work and family studies in 1991. Dr. Haj-Yahia has maintained connections with the University, returning this year to speak at the Minnesota Center for Social Work Research about family violence prevention in Palestinian and Israeli communities. After Dr. Haj-Yahia returned to the Middle East, he assisted in starting new social work academic programs at Bethlehem University and Al Quds University. In 1994 he was hired as a lecturer at the Paul Baerwald School of Social Work at the Hebrew University of Jerusalem. In 2000, he was promoted to the position of senior lecturer with tenure, and in November 2004 to the position of associate professor, the equivalent of full professor in the U.S. He was the first Arab faculty member to receive tenure at the Hebrew University School of Social Work and was recently awarded the Gordon Brown Chair in Social Work from the Hebrew University of Jerusalem. Dr. Haj-Yahia is an internationally recognized scholar of family violence, particularly in the areas of Arab and Muslim communities. He has published more than 70 peer-reviewed journal articles and 11 book chapters. His research focuses on six areas: violence against women, child abuse and neglect, children of battered women, community violence, political violence, and the relevance of the soci-cultural and socio-political contexts to social work education and practice. He is a pioneer in this area of study and has mentored many graduate students who have gone on to have a major impact on preventing violence in families in the Middle East. Dr. Haj-Yahia has organized Palestinian conferences on domestic violence and was a member of the Scientific Committee of the First Palestinian Conference on Child Sexual Abuse, and a board and founding member of the Israeli Center for the Promotion of Social Justice. He has served as a board member and chair of the Institute for Israeli-Arab Studies at the Van Leer Jerusalem Institute.